As Whitney Houston famously sang, “children are our future” (“Whitney Houston – Greatest Love of All”). But not all children are given an equal chance at a bright future in the American public school system. Schools in wealthy neighborhoods often receive more funding, and thus more access to quality teachers and essential school supplies, than schools in poorer, often minority neighborhoods. This gap varies from area to area, but overall “the wealthiest 10 percent of U.S. school districts spend nearly 10 times more than the poorest 10 percent, and spending ratios of 3 to 1 are common within states” (Darling-Hammond). I am interested in this topic because I live in Oakland where there are large discrepancies in the funding, and thus the quality, of public schools from neighborhood to neighborhood. For example, in the Piedmont City Unified School district, average per-student spending is $12,315 per year, while in the Oakland Unified School District, average per-student spending is only $8,955 per year (Turner). I have heard a lot about this issue locally, and wanted to learn more about what can be done to help solve it. inequality in education. 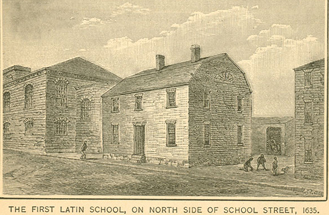 In 1647, the Massachusetts Bay Colony passed the Massachusetts School Laws requiring that all towns with over 50 families hire a teacher, and that all towns with over 100 families establish a “grammar-school” (“Old Deluder Satan Law”). This was the start of the American public school system. Later, during the colonial era, it was illegal to teach slaves to read and write, but some people in the North tried to educate slaves in order to convert them to Christianity (Singer). In addition, girls were educated far less than boys because women were expected to simply fill a domestic role, and thus were not thought to need advanced education. This led to the female literacy rate at the time being much lower than that of men (“Background on Women and Education”). Also, wealthier people hired tutors to teach their children, especially wealthy planters in the South, but poorer people often did not have access to quality education, especially in rural areas without well-established public school systems(“How They Were Schooled”). When the colonies gained independence, education was not established as the federal government’s job in the Constitution, so the responsibility went to the individual states (Singer). After the Civil War and the abolition of slavery, public schools were segregated by race in many areas in the Southern states (Singer). Under the 1896 Supreme Court case Plessy v. Ferguson, the practice of segregation and “separate but equal” facilities for African-Americans and whites was ruled to be constitutional. This decision was used to justify Jim Crow laws in the South requiring segregation in public schools (“BROWN V. BOARD: Timeline of School Integration in the U.S.”). School segregation caused African-Americans to receive inferior educations compared to their white peers; African-American schools in Jim Crow states were underfunded and often mainly taught skills needed for agricultural or domestic jobs, to keep African-Americans in the lower-class labor positions of the white-dominated society and economy (Irons). In 1954, under the Supreme Court decision Brown v. Board of Education, segregation was ruled to be unconstitutional. However, even after this ruling, there was strong opposition to racially integrated schools, especially in the South (“Brown at 60: The Southern Manifesto and ‘Massive Resistance’ to Brown”). Some white segregationists used threats of violence to try to scare African-Americans or created segregated private schools for their children using public funds, until that was struck down in court. In one extreme case, Prince Edward County in Virginia closed its public school system when they were ordered to integrate their schools (“Brown at 60”). The government made several attempts to desegregate schools: for example, in the 1970s and 80s, desegregation busing plans were used, which transported kids to schools other than those closest to them to try to avoid having segregated schools because of racially segregated neighborhoods (Benson). When segregation ended and efforts such as busing were made to desegregate schools, the achievement gap between white students and minority students “narrowed substantially between 1970 and 1990″ on “every major national test”(Darling-Hammond). However, to this day, there are still disparities between the quality of public schools with a majority of white students and those with a majority of non-white students (Cook). The quality of schools with different demographics varies today, as “on average, schools serving more minority populations have less-experienced, lower-paid teachers who are less likely to be certified” and “a 10 percentage point increase in students of color at a school is associated with a decrease in per-pupil spending of $75” (Cook). In addition, even within a district, low-income schools with higher needs tend to receive fewer resources and lower quality teachers than high-income schools (McCann). Also, tracking systems for classes (honors classes versus regular, etc) often separate wealthier, white students and low-income and minority students, and better teachers are also often “tracked” to teach these harder classes (Darling-Hammond). This difference in opportunity, in which minority students on average get higher class sizes, less qualified teachers, less challenging curriculum, and fewer resources, leads to the achievement gap between white, rich students and low-income and minority students (Darling-Hammond). Also, because public schools are funded through property tax today, the differences in funding that schools in poorer areas receive compared to those in wealthier areas cause large differences in the qualities of the schools (Turner). For example, Livingston Junior High School, which is in an area where much of the surrounding land is farmland or timberland and thus does not earn much property tax money, is severely underfunded. 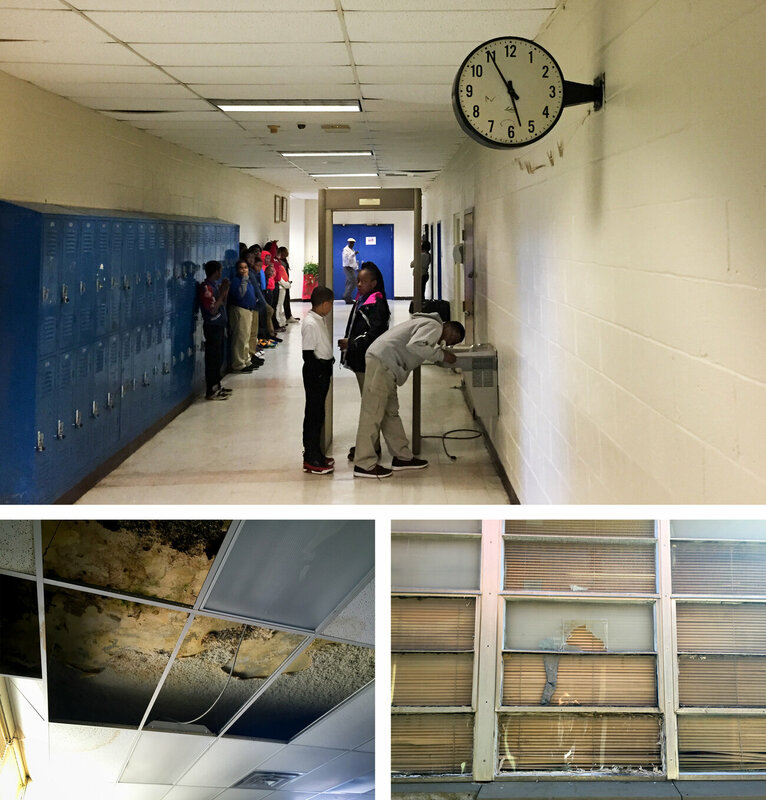 Due to a lack of sufficient funding, much of the school is in disrepair without any way to pay for improvements (Turner). Many schools across America face similar struggles, and the issue of unequal funding due to property tax-based systems has been the subject of many lawsuits; almost every state “has seen at least one lawsuit over how it pays for schools and whether the result is fair or adequate” since the 1970s (Turner). One major case on this issue that went to the Supreme Court was San Antonio Independent School District v Rodriguez, in which Rodriguez argued that under the Equal Protection Clause of the U.S. Constitution–the same clause that was used to stop school segregation and “separate but equal”–public school funding systems that are based on local property taxes are discriminatory against lower-income districts (Turner). However, the Supreme Court ruled that it is not the federal government’s job to fix this inequality, so the responsibility goes to the states, many of whose state constitutions give students equal rights to education (Turner). Research has shown that the achievement gap between minority students and white students is “much more a function of their unequal access to key educational resources, including skilled teachers and quality curriculum, than they are a function of race” (Darling-Hammond). As lower-income and minority students receive fewer educational resources and lower quality teachers than their wealthy, white peers, the gap between the wealthiest and the poorest continues to grow (Turner). One possible solution to the problem of unequal funding would be to pool the property tax money in a larger area and give equal amounts of funding to each school district in that area instead of relying on property taxes from each neighborhood to fund its own schools. This would help reduce the disparities in funding between the poorest and the richest neighborhoods and help improve the quality of schools in poorer areas that currently don’t have enough funding. Another solution, which already happens in some states, would be to provide more state funding for schools in addition to the local property taxes. Though in some states, inequality in schools has become so severe that states have started to pay a significant portion of the schools’ funding in order to address this, local property taxes are still a source of revenue for schools in all states (“Frequently Asked Questions on the Property Tax”). If a larger amount of the schools’ funding came from state taxes instead of local property taxes, the funding would be more evenly distributed throughout the state instead of leaving some schools without sufficient funds to operate well simply because they are in neighborhoods with lower property wealth. “Background on Women and Education.” Background on Women and Education, web.csulb.edu/projects/elizabethmurray/MurrayFinal/pdfs/hswomenedstudentessay.pdf. “BLS History.” Boston Latin School Association, Boston Latin School Association, bls.org/apps/pages/index.jsp?uREC_ID=206116&type=d. “Brown at 60: The Southern Manifesto and ‘Massive Resistance’ to Brown.” NAACP LegalDefense and Educational Fund, NAACP Legal Defense and Educational Fund, Inc.,www.naacpldf.org/brown-at-60-southern-manifesto-and-massive-resistance-brown. “BROWN V. BOARD: Timeline of School Integration in the U.S.” Teaching Tolerance,Southern Poverty Law Center, 2 Aug. 2017, www.tolerance.org/magazine/spring-2004/brown-v-board-timeline-of-school-integration-in-the-us. “Frequently Asked Questions on the Property Tax.” National Conference of State Legislatures, National Conference of State Legislatures, www.ncsl.org/research/education/funding-approaches-the-property-tax-and-public-ed.aspx. “How They Were Schooled.” American History: From Revolution to Reconstruction andBeyond, University of Groningen, www.let.rug.nl/usa/outlines/history-1963/the-colonial-period/how-they-were-schooled.php. Irons, Peter. “Jim Crow’s Schools.” American Federation of Teachers, American Federation ofTeachers, AFL-CIO, 8 Aug. 2014,www.aft.org/periodical/american-educator/summer-2004/jim-crows-schools. McCann, Claire. “School Finance.” EdCentral, EdCentral, www.edcentral.org/edcyclopedia/school-finance/. Singer, Alan. “Welcome Back! A Brief History of Education in the United States (Part 1).” TheHuffington Post, TheHuffingtonPost.com, 7 Sept. 2015,www.huffingtonpost.com/alan-singer/welcome-back-a-brief-hist_b_8098916.html. “School Busing.” Virginia Historical Society, Virginia Museum of History and Culture, www.virginiahistory.org/collections-and-resources/virginia-history-explorer/civil-rights-movement-virginia/school-busing. Turner, Cory, et al. “Why America’s Schools Have A Money Problem.” NPR, NPR, 18 Apr.2016, www.npr.org/2016/04/18/474256366/why-americas-schools-have-a-money-problem. “Whitney Houston – Greatest Love of All.” Genius, 18 Mar. 1986, genius.com/Whitney-houston-greatest-love-of-all-lyrics. This is such a pertinent and interesting subject! You successfully traced back the problem to the beginnings of its historical roots and connected it to what we’re seeing today. Also, all of your graphics and visuals supplemented the content very well, especially the John Oliver video. Overall, nice job!